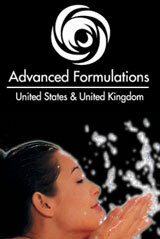 As a customer of AdvancedFormulations.com, you have 30-day No question asked returns guarantee. Our 30-day returns guarantee means that if for any reason you are unhappy with your purchase, you can return it to us within 30 days of the date you received the item and we will issue a full refund for the price you paid. Copyright © 2019 Advanced Formulations UK All Rights Reserved.